Our joint product FLEXAIN® does not contain any sugar and fat! Suitable also during the strictest diet! 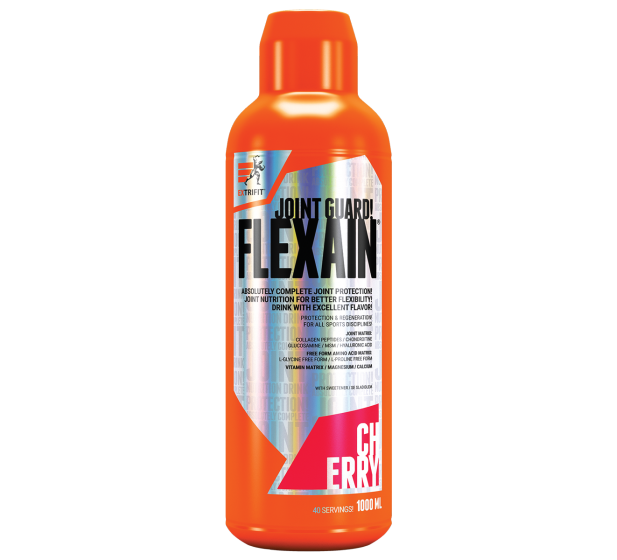 FLEXAIN® in the form of drink is very suitable also for persons who often forget about the convenient drink schedule. Dilute one dose of FLEXAIN® (25 ml) of concentrate with 200-400 ml of water. So you prepare excellent drink and you know that you made the beneficial thing not only for your joints but you also drank the necessary amount of important fluid. FLEXAIN® is intended for demanding athlete that´s why it contains high doses of the most important chondroprotectives in the unique combination. And not in any huge tablets but in the form of delicious drink that tastes as real fruit juice! All active substances are better and faster absorbed thank to this liquid form. Joint overload is typical for strength training as well as for endurance sports; FLEXAIN®is also suitable for wide spectrum of athletes. You can prepare up to 10 l of drink from one bottle! FLEXAIN® contains combination of all substances that are essential for the good joint function: collagen hydrolysate (collagen peptides), MSM, chondroitine sulphate, glucosamine sulphate, hyaluronic acid, minerals calcium and magnesium and free amino acids proline and glycine, that all enriched by vitamin complex, of which especially vitamin C contributes to normal collagen formation for normal function of blood vessels, cartilages and bones. Zero content of fat and sugar is great advantage of our new product! Thank to this you can use it also in weight loss program and during cutting! We take for granted that our products do not contain any chemical colorants, only natural colorants, similarly FLEXAIN® contains only natural colorants. Dilute 25 ml of concentrate with 200-400 ml of water. You can consume the PREPARED drink whenever during the day. Divide the daily dose (50 ml) into two doses 25 ml. For immediate consumption.